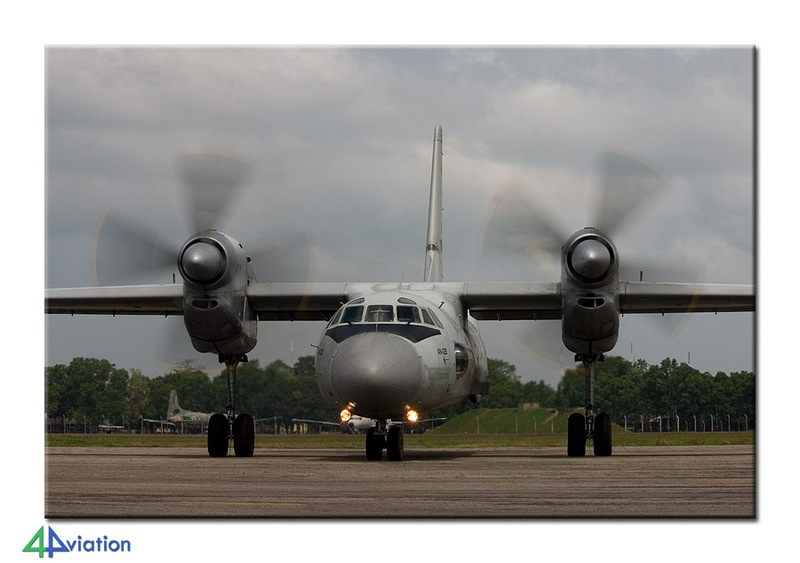 Early February 2011, 4Aviation visited the Sri Lankan Air Force and the Aero India show at Yelahanka. A total of 28, on the group of 36 that travelled to Sri Lanka, continued their tour to India to visit the Aero India show. The plans to visit the trade show Yelahanka had been in place for a while. In order to make the tour a lot more interesting it was decided to see whether Sri Lanka was willing to receive a group of enthusiasts. 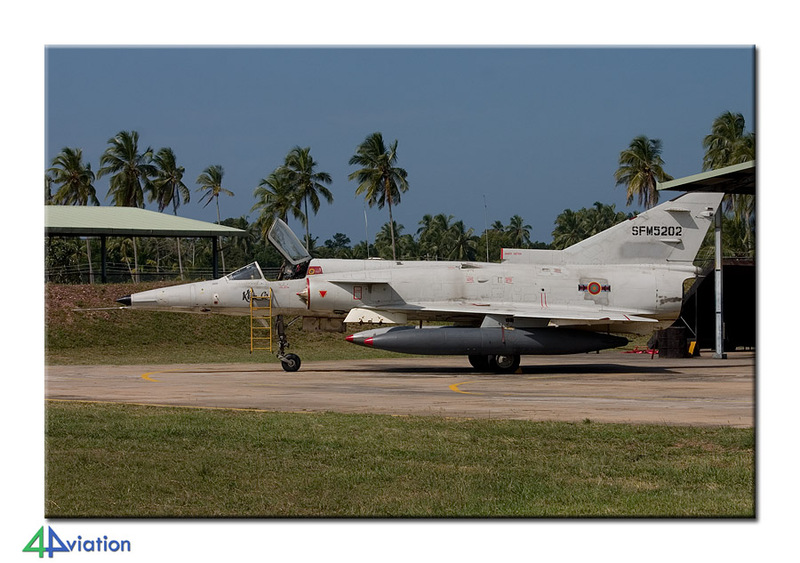 Obviously, we were very happy with the permission to visit the Sri Lanka Air Force bases, that we received by mid-2010. On Thursday 3 February, 27 participants met each other at Schiphol for the first flight to London-Heathrow. In London another participant joined, after which the group flew to Colombo in an Airbus A340 of Sri Lankan. 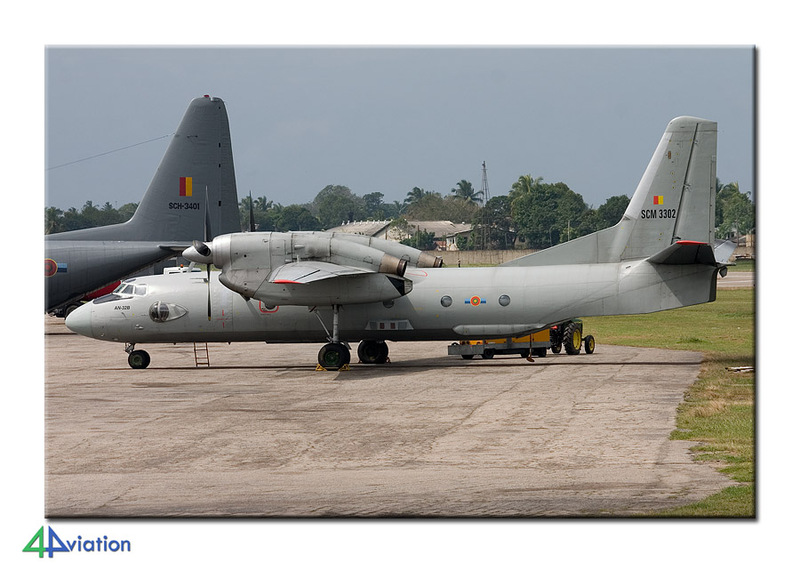 On Friday morning (4 February), very early, the group arrived at the airport of Colombo (also home to the fighter aircraft of the Sri Lanka Air Force). At Colombo we were met by our tour contacts and we sat down in the bus that took us to the first hotel in Mount Lavinia. Since the day had only just started, we directly decided to start looking for the first aircraft of the tour. 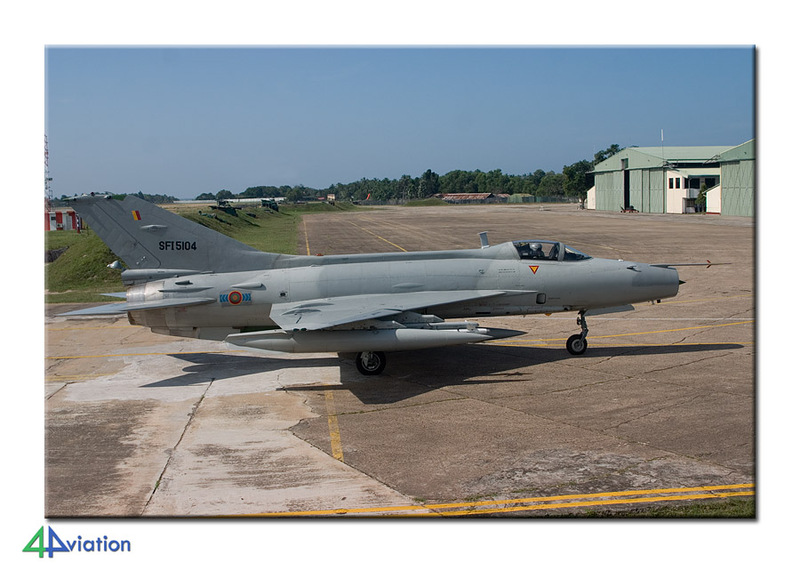 In the capital city of Sri Lanka, Colombo, we were able to find two Jet Provosts, one of which could be photographed. Our point of contact within the air force came to shake hands while we were taking a swim in the pool of the hotel later that day. During the same day, the remaining 8 participants of the tour, arrived from several directions. 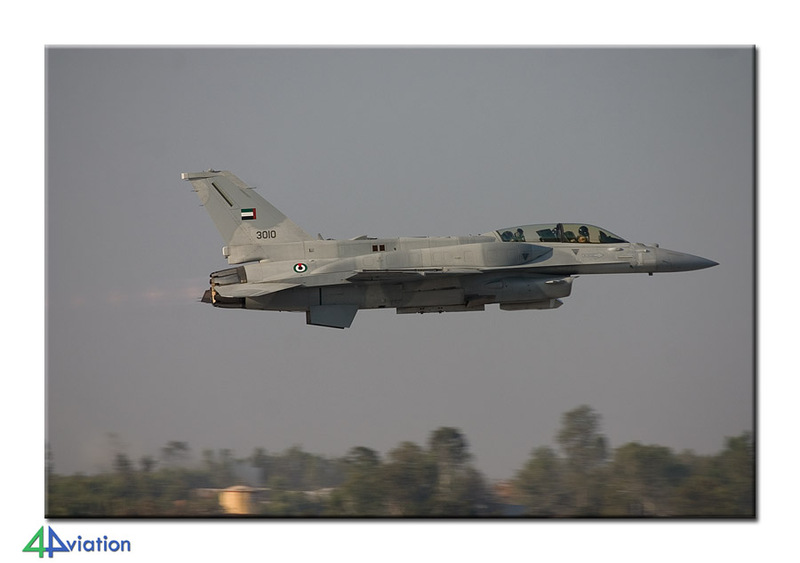 The first base visit was scheduled for Saturday (5 February). On our way to Ratmalana, that houses two operational (transport) squadrons, apart from the museum, we were anxious to find out what the visit would be like. Despite intense, frequent and clear communication in the preparations, it is always interesting to find out what the situation is on the spot. All ‘stress’ soon disappeared when, at the beginning of the visit, we were told to ‘go ahead’. In other words; picture what you like, ask any question you want to ask and pay attention when we are starting up aircraft. The next hours were spent on the platform and in the hangars of Ratmalana. The sun regularly cooperated, while both 2 and 8 squadron were active with a number of aircraft. The variety in types was very good and we even encountered some visitors. After this fantastic experience we said goodbye to our hosts and went the museum in the afternoon. 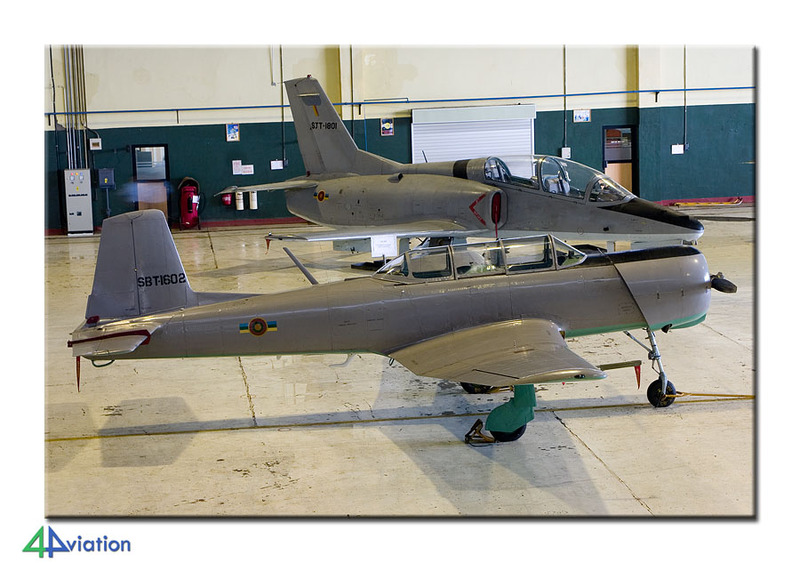 The SLAF museum was recently completely refurbished and looks immaculate at the moment. The collection is outstanding and well preserved. The remains of a Tamil Tiger Zlin 143, that was shot down, is part of the collection. At the end of the afternoon we headed for the same hotel to spend the night. Sunday 6 February was marked as a transfer day. We needed to get to East Coast of the island. A ride that would cost us the major part of the day. Especially since the country was still experiencing excessive rainfall. This rainfall was the reason that parts of the roads on the Eastern side of the country has become rather inaccessible. 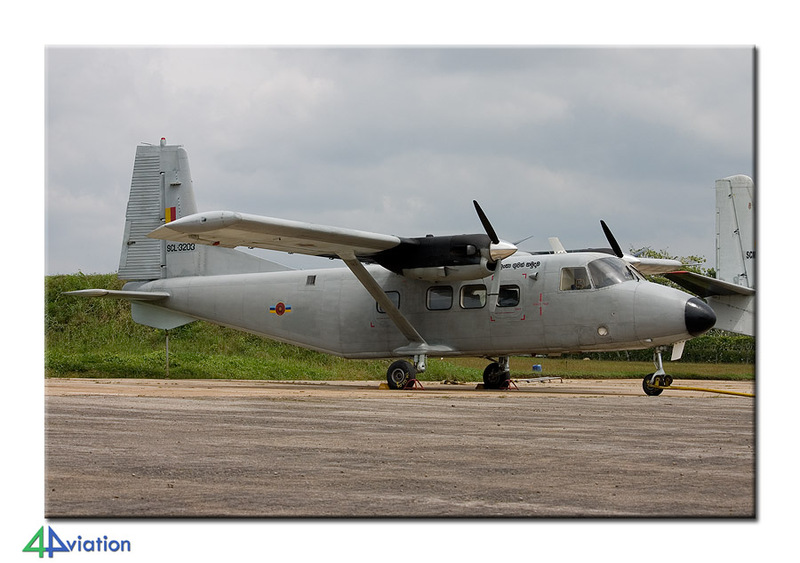 Therefore, we had approved to a change of our means of transport on our way to Trincomalee. This alternative bus was more robust, with higher ground clearance and better equipped for the road conditions. This meant that we had to exchange our comfortable a/c bus for a less luxurious one around noon. We were only riding this second bus for around 45 minutes when we saw a group of more than 10 elephants next to the road. At the end of the afternoon the roads did become a lot worse and we had a little trouble reaching our hotel. The swimming pool and beach were included again! On Monday morning (7 February) we rose early again. We had made arrangements for being at the main gate of China Bay at 07.30. A pilot of the 1 Flying Training Wing came to pick us up and after welcome by the commanding officer and a short briefing on the unit, we headed for the hangar. Because of the constant rain, the training unit had not flown for one and half week. It also rained on this Monday morning. Luckily, the hosts were more than happy to tow an airframe of each type (K-8, PT-6 and Cessna 150) outside. Apart from that, photography inside the hanger and in the shelters was allowed. The end result was very good again and there was even enough time to experiment with more creative shot of a K-8 Karakorum inside a shelter. The cooperation was beyond our expectations again. All possible questions were answered. All in all, the air force aired a lot of professionalism, making use of modern management techniques. At China Bay we were treated to a refreshment again, before taking to the road again in the afternoon. While heading West again, we switched buses again and ended up in our ‘own’ bus, before ending up at our hotel for the night. While enjoying a beautiful view and surrounded by curious monkey (keep your doors and windows closed!) we evaluated the visit of that day. Tuesday, 8 February, was helicopter day. The day started at Hingurakgoda-Minneriya, where 7 and 9 squadron are base. 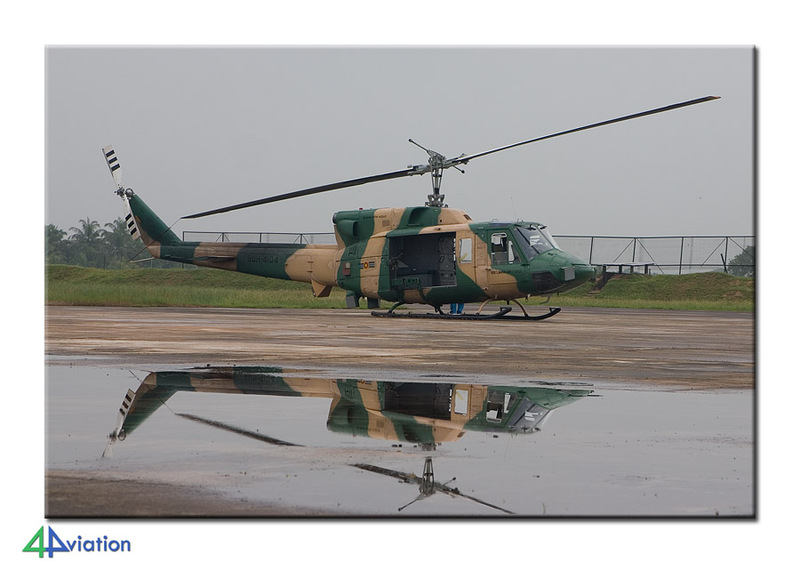 Because of the flooding of several parts of the country, part of the operational choppers were detached elsewhere. Here also, no restrictions appeared to be in place. The squadron operating Bell 206s and Bell 212s had recently rescued more than 50 people that had become victims of the rising water. 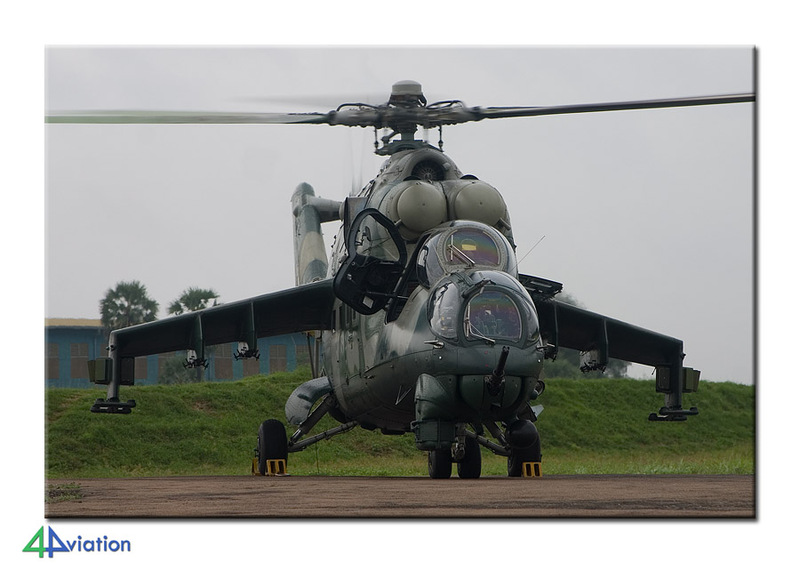 At 9 squadron, operating the Mi-24, we were more than welcome as well. 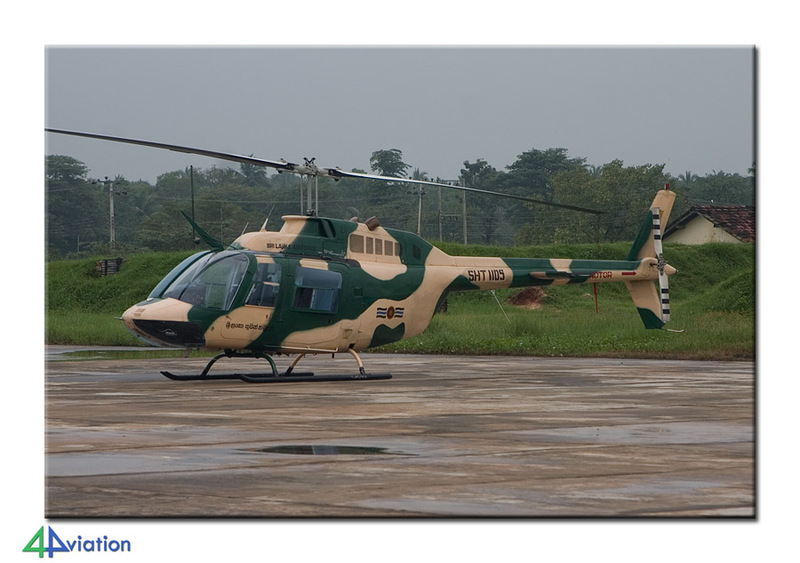 Their Hinds were also being used in rescue operations around the country. After a cup of tea, we headed for Anuradhapura. While arriving at Anuradhapura, the base appeared to have been completely restored, after the attack of the Tamil Tigers. 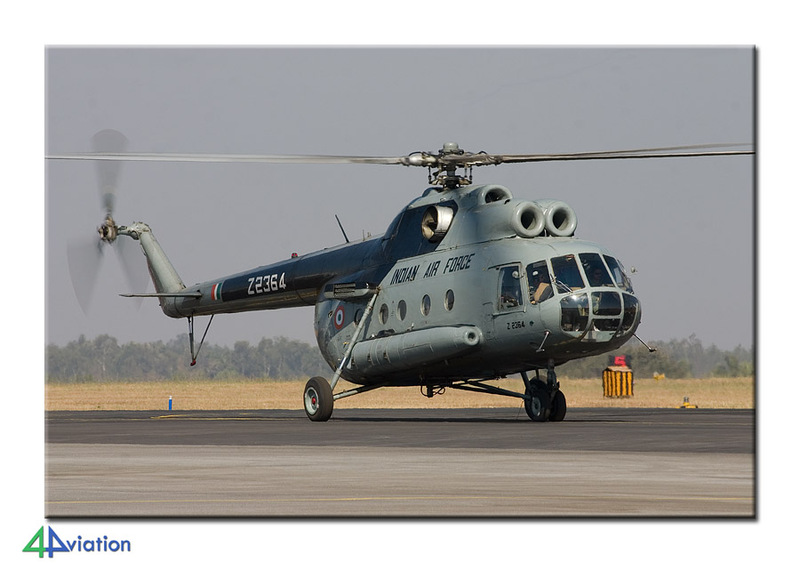 We were guests of 6 squadron, flying the Mi-17s. 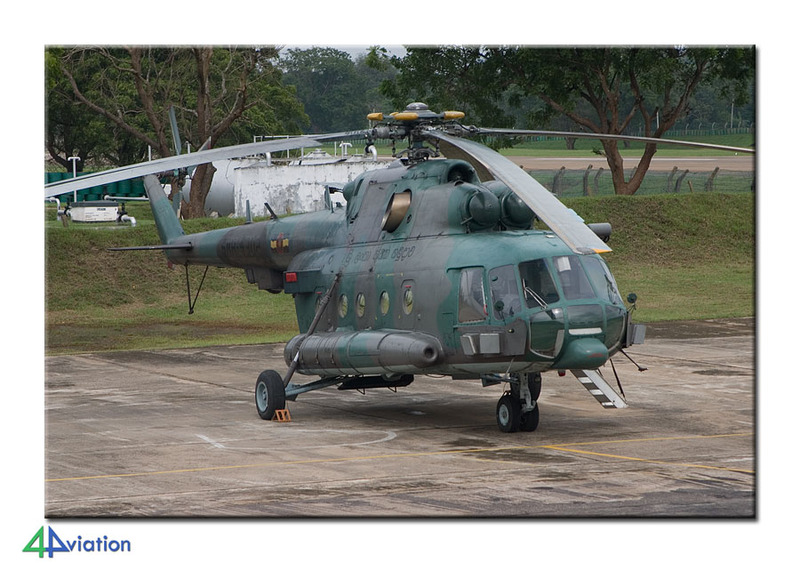 At the base, two Bell 212 of 7 squadron were present to assist in evacuating people from flooded areas. Luckily, at the end of the day the sun presented itself. 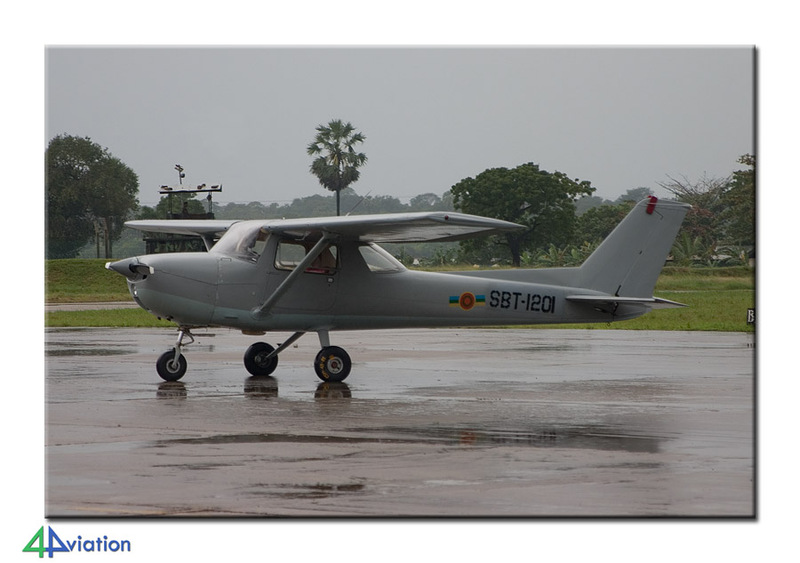 After capturing the preserved aircraft on the base, we started our ride towards Negombo. This ride took quite a while, and eventually we were handed the keys of our hotel rooms around 22.00. Also on Wednesday (9 February) we got up very early again. 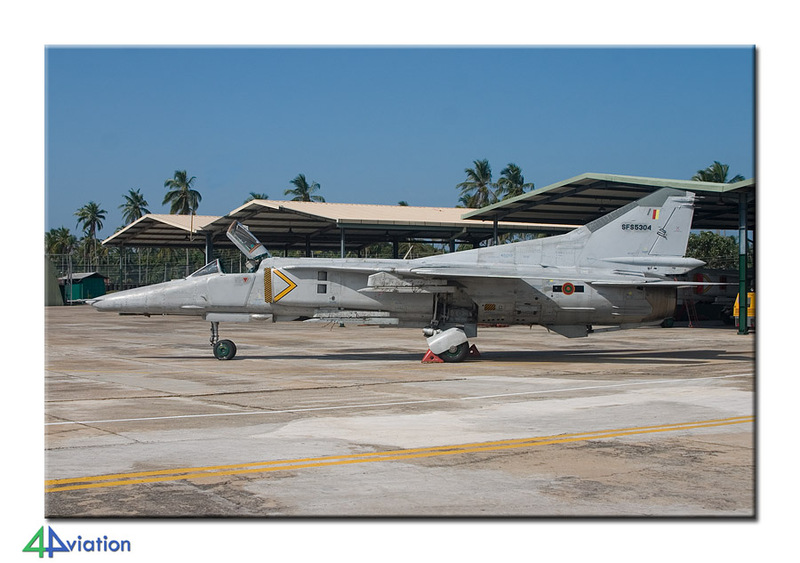 This day the first visit to the fighter base of the Sri Lankans was scheduled; Katunayake (the military part of Colombo-Bandaranaike International). The procedures at the gate took a little longer than expected, resulting in witnessing a flying Flogger from the gate. 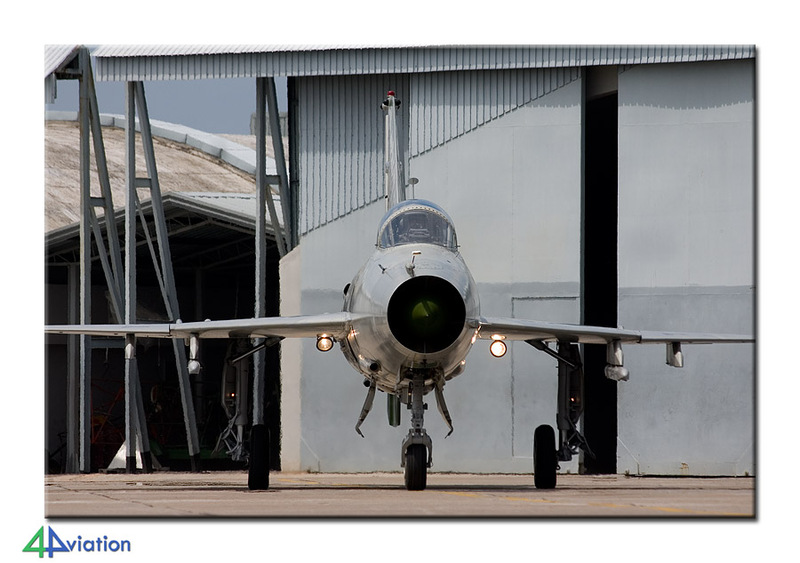 After being met by a pilot of 10 squadron and heading for the fighter area, we were greeted by two taxying Floggers. The group was split into 3 groups of 12, each being accompanied by a pilot from the squadrons. 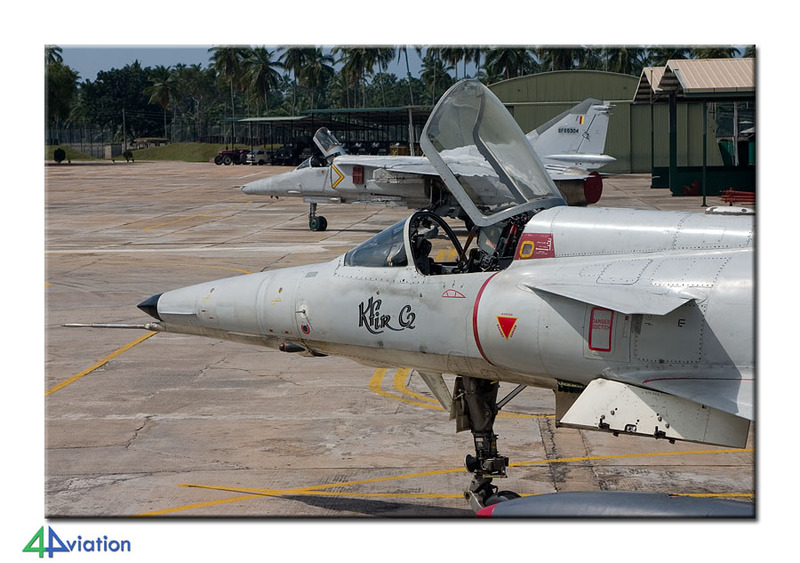 All groups visited the 3 flying fighter squadrons (5 [F-7s], 10 [Kfir] and 12 squadron [MiG-23/27]). There was plenty of time to tow several aircraft back and forth, tow them from underneath their sheds, remove covers etc. The sun was shining at its best and it was simply awesome. 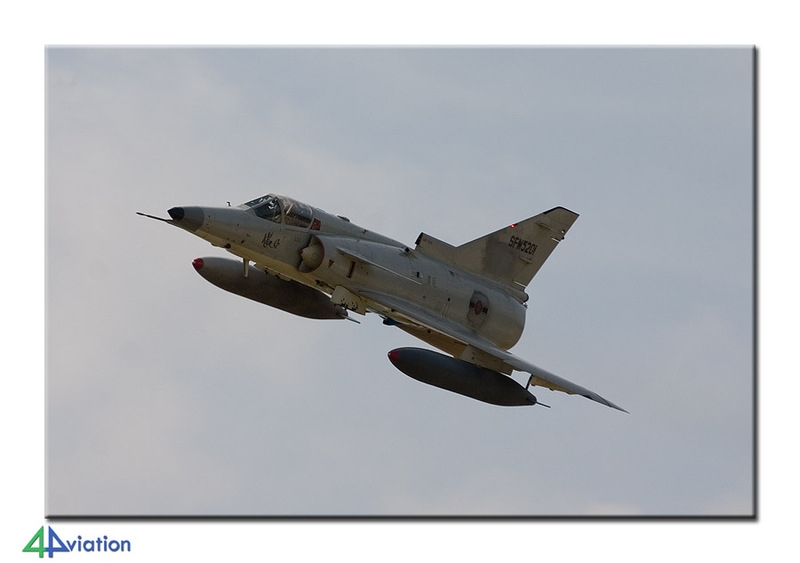 One F-7GS flew a sortie during the afternoon. After lunch on the base and a very refreshing drink we headed for 4 squadron during the afternoon. 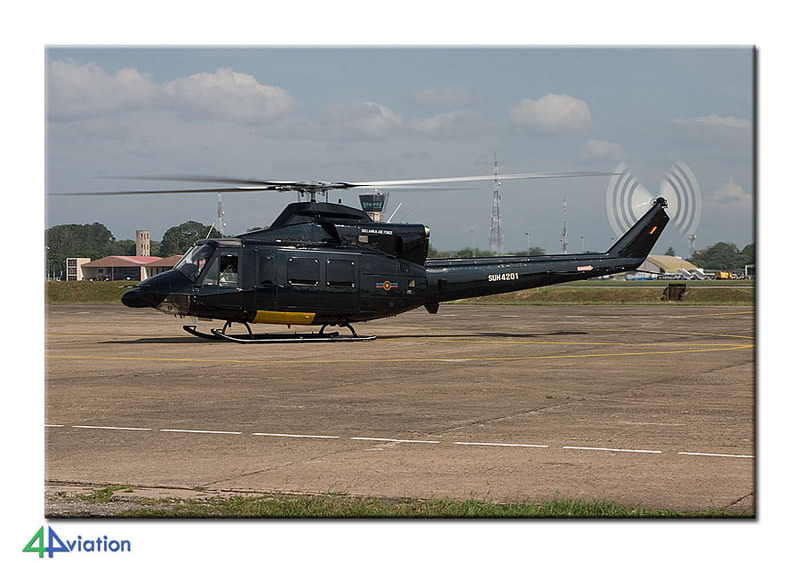 This VIP-squadron was proud to show their Bell 212 and 412s. 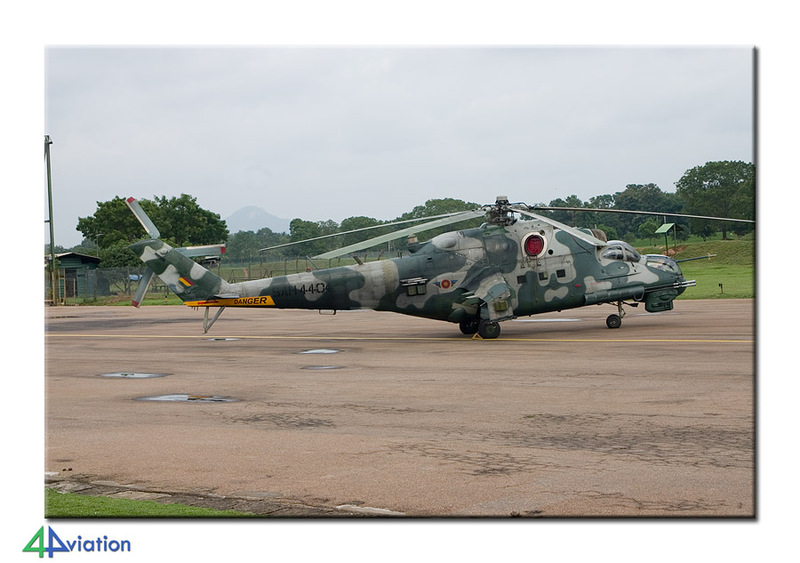 On the platform also two Mi-17s from Anuradhapura were present. From the 4 squadron platform we were also able to peek into the hanger of the Engineering Wing. Unfortunately, we were not permitted to go inside here. At the end of this magnificent day, the dive into our swimming pool (near the beach) was very refreshing. On Thursday (10 February) we reported back at the gate of Katuyanake very early again for our second attempt. The (second) visit appeared to not have been communicated to the base, resulting in some last-minute calls and actions. In the end all went smooth again and we drove on base for the second day in a row. Once at the squadrons it became apparent that a Kfir and F-7 would soon be arriving back from a sortie. Both aircraft were pictured under the best possible circumstances. The same applies to the MiG-23UB that took off shortly after that. All in all the second visit was a perfect addition to the first visit. In the afternoon we drove to nearby Ekala. At Ekala a training institute of the air force is located and we were allowed to photograph a number of withdrawn aircraft there. 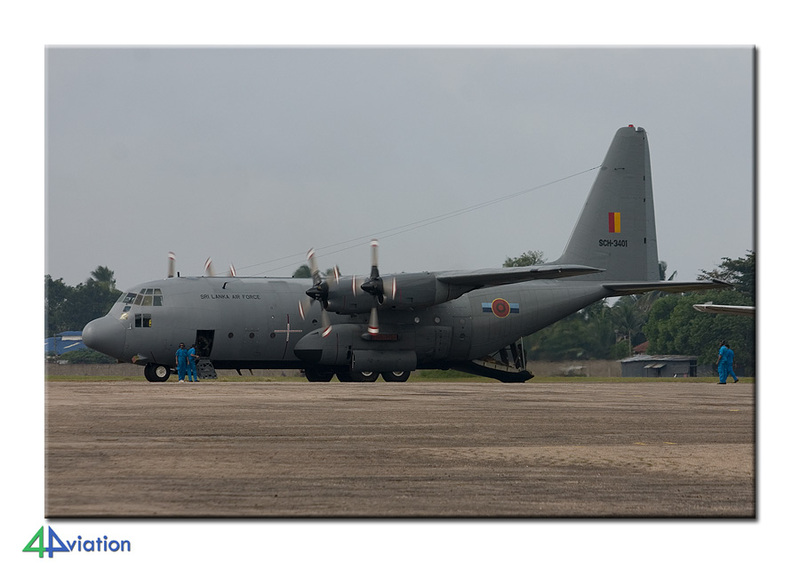 With this last visit a series of fantastic visits to the Sri Lanka Air Force was ended. At the end of the day the first participants left the group already. After the final night in Sri Lanka, a group of 28 people remained on Friday morning. All these had opted for the extra weekend in India for a visit to Aero India 2011. Since our flight from Colombo to Bangalore would take place early in the evening, the Friday was spent acting as tourists. The touristic tour ended with a delicious lunch, after which we checked in for our flight to India. On arrival at Bangalore the next bus was already waiting for us. It took us a little over an hour to reach our hotel for the next 3 nights. No sleeping in again on Saturday morning (12 February). Since the entry procedures at Yelahanka were very unclear, despite our timely pre-registration and payment, we wanted to be at the gate as early as possible. We were in time and the process of how to get in was still unclear, until all of a sudden we all possessed an entry ticket and were able to walk on base. 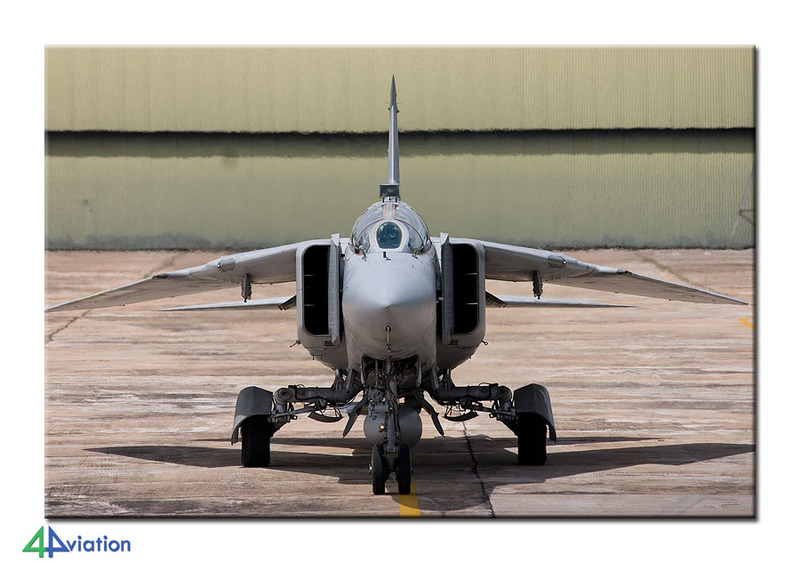 The show itself was very limited and mainly focusing on the choice the Indians had to make for their Medium Multi Role Combat Aircraft (MMRCA). Almost all candidates, apart from the MiG-35, were represented in the air show. The static was small and, unfortunately, the Indian Air Force MiG’s were missing. Despite that, there were plenty of interesting aircraft. 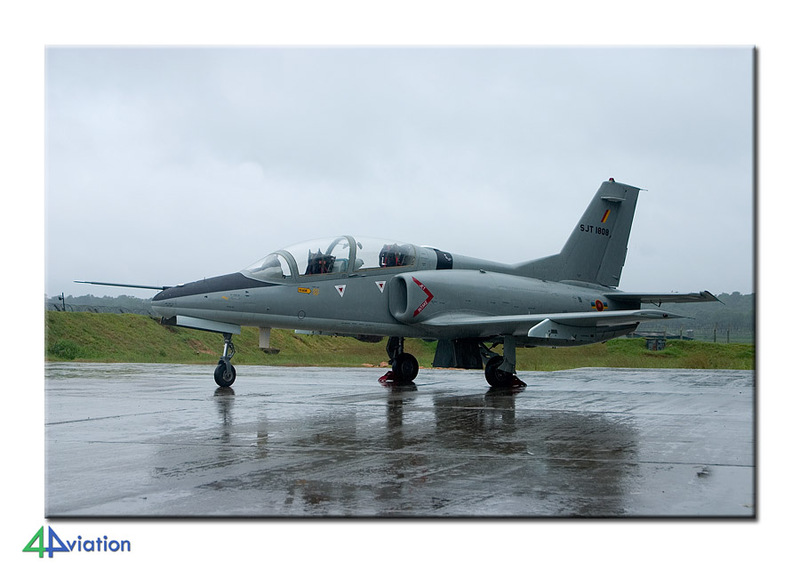 Apart from the participants, Aero India is also known for the visiting aircraft. These visitors can be seen twice a day, before the show starts and just after it ends. All on the group had found a perfect position on the base to photograph the air show without being disturbed. At the end of the day the bus was called in to transport us back to the city. An Indian restaurant near the hotel saw a large group of foreigners invading the available tables. On Sunday the 13th the ritual repeated itself for part of the group. Another part had decided to spend this Sunday acting as a tourist again. From the group that went to Yelahanka for the second attempt (that resulted in beautiful pictures again under perfect weather conditions), another part split off during the day. 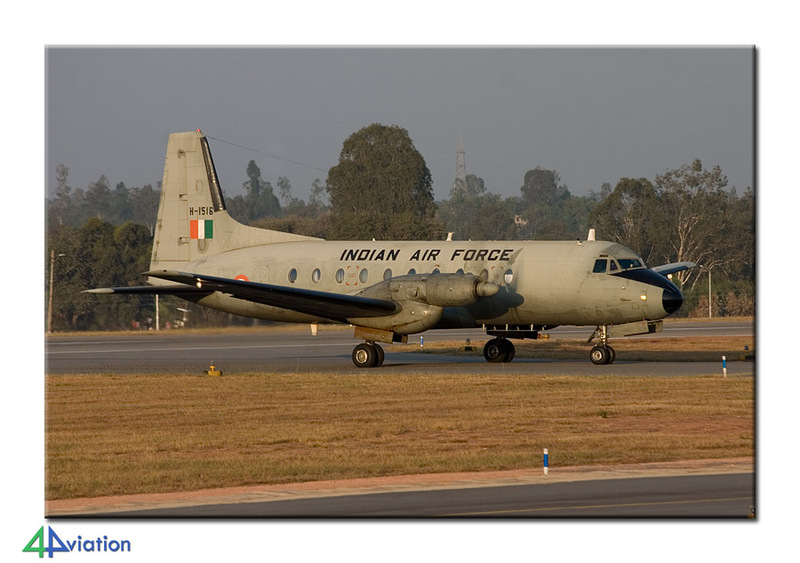 They went to the HAL museum and some other preserved aircraft in the city of Bangalore. At the end of the day the group came together again at the same restaurant as the day before, for a final meal. The next item on the itinerary was the journey back to the Netherlands. The return journey started on Monday morning (14 February) in Bangalore. At the airport, three visiting aircraft were noted. The journey would, because of long stop-over at Colombo, take some time. After the first flight to Colombo, a large part of the group passed Sri Lankan customs again to be able to take a swim at a hotel or to enjoy the nice weather for some time. During the evening the group gathered again at the airport and around midnight the check in took place. Because of the timing of the flight almost all fell asleep at the beginning of the 12 hour flight to London. The last leg of the tour, from Heathrow to Amsterdam, was nothing more than a formality, after which the participants said each other goodbye and went home feeling very happy about the tour. Excellent trip, great weather, Landivisiau was well organised and friendly. The coach was excellent and just right for such a long journey.